Last month, the Israeli government announced that it is establishing a team to formulate a working plan to advance UN Resolution 1325 in Israel—the resolution that calls for women’s equal inclusion in all aspects of decision-making, especially around issues of peace and security. The team will be comprised of senior representatives from almost all government offices, including the Foreign Ministry, the Defense Ministry, the Ministry for Internal Security, and the perhaps more obvious Welfare Ministry and Education Ministry. 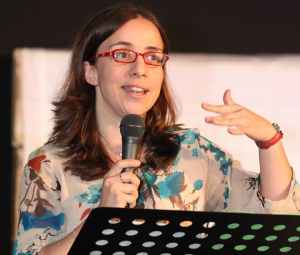 It will be headed by Vered Swid, the Director of the Office for Gender Equality of the Prime Minister’s Office (until recently titled The Office on the Status of Women) and will also include academics, researchers, and representatives from NGOs working on issues of gender, equality and social justice. The purpose of the committee, according to the announcement, is to ensure that Israel complies with UN Resolution 1325. This means ensuring women’s representation in all areas of decision-making, promoting women’s safety and security, and redefining “security” to include a more holistic understanding of women’s lives. Also significant is the list of participants in the process. This is the first time that gender is seen not as an issue of concern to the ministries of welfare and education alone, but rather as demanding the attention of all ministries. Until very recently, these ministries did not believe that they are part of the gender problem. Member of the Knesset Aliza Lavie, who heads the Knesset Committee on the Status of Women, which has been advancing this initiative, received a response from the Ministry of Defense earlier this year saying that they did not understand what their office has to do with gender. The gender problem cuts across the board in Israel. A 2014 state comptroller’s report found that women fill less than one third of all senior management positions in the public sector, that only 64 out of 331 chairs of the board of government-affiliated companies are women, and perhaps most alarmingly, that not one of the CEOs of those 331 government companies are women. Many government commissions – such as The Turkel Commission, which investigated a 2010 Israeli raid on a Gaza-bound flotilla–have zero women. And minority women—such as Ethiopians and Arabs—are almost completely unrepresented in government leadership. Israel was, ironically, the first country in the world to give lip service to Resolution 1325 back in 2005 by officially confirming its commitment to the idea. But since then, Israel has done nothing. Meanwhile, other countries—including Northern Ireland, Guatemala, The Philippines, Liberia, and even the United States—have had considerable success in implementing Resolution 1325. The difference, according to Thon Ashkenazy, between countries with success and those without, is in whether they adopted an actual working plan. According to a Harvard University study tracking the impact of 1325, countries that adopted a working plan had an average increase of 11% in women’s representation in decision-making within two years. And in some countries, the impact can be felt on issues of war and peace. Lleymah Gbowee made history in Liberia when she mobilized women to force an end to the 14-year civil war, and then won the Nobel Peace Prize for her work. Israel could certainly use a woman like her. The Israeli women who have been working tirelessly on this issue studied the models around the world to see what works. They began by lobbying for legislation, then appealed to the High Court of Justice, and then realized that the key to success would be collaboration among women. In 2011, Thon Ashkenazy and others pulled together a coalition of 30 organizations of women’s rights and human rights in order to create a groundswell of active support. The coalition, which was funded by Heinrich Bell, the European Union and the National Council of Jewish Women, have worked together over the past three years to formulate a working plan based on successful models around the world. Their model, which was completed in October 2013, will hopefully become the foundation for the governmental committee that was announced this week. Vered Swid, who will be leading the team, says that the goal is to put in place a multi-year plan that goes to 2020, with short-term, intermediate, and long-term plans. “I have a vision in which every year on March 8—International Women’s Day—representatives from all government ministries report to the Prime Minister on what their offices did that year to advance gender equality,” Swid told me. “This isn’t about ‘the status of women’. This is about advancing gender equality, and about empowering men to be agents of change on this issue as well.” Swid says that PM Netanyahu has been very supportive of gender issues, and in fact was the one who, back in 1998, established the very position that she currently holds. Swid says that Sara Netanyahu is also very supportive of gender issues. Perhaps this announcement is a sign that gender awareness is spreading in Israel –or an understanding that addressing the concerns of women is sound policy. It will be very interesting to see how this develops, and how gender impacts and is impacted by the upcoming elections. It really is an amazing accomplishment for the State of Israel and it was all about women making this happen. For a country that prides itself on being “the only democracy in the middle east” and whose women serve in equal positions of danger in the army, it’s about time, isn’t it?? ?